H2K Infosys is based in USA is offering Microsoft .Net Training online. Our Microsoft .Net training is an instructor led live training conducted by the industry experts to master you in Microsoft .Ne..
H2K Infosys is a leading provider of IT Training based in USA offering AngularJS Training online. Enroll today in our instructor-led live training and learn the basic and advanced concepts of Angular..
IIT Workforcebased in USA provides QA Real-time Telecom Project Workshop to gain hands-on experience. Our Telecom Project is an end to end project with emphasis on the process, tools,procedures, and..
H2K Infosys is based in USA provides instructor-led live online training on Big data/Hadoop. Our training includes detailed explanation with practical real-time examples. We cover the core concepts o..
H2K Infosys is based in USA provides online Business Analyst training. 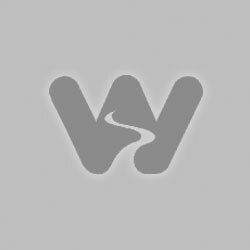 Our extensive Training covers topics from IT basics, SDLC, UML, Requirements Techniques, QA Testing to Project Management. We pr..
H2K Infosys is the leading provider of IT Training in USA offers Java/J2EE Training online. We provide job oriented training, and cover both basic and advanced level concepts. 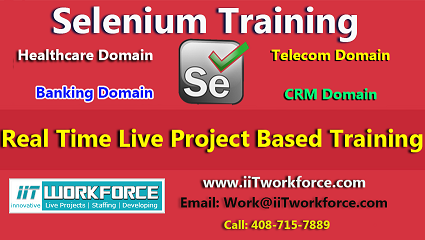 Our extensive 80+ hours..
iiT Workforce based in USA provides Selenium Real-time Project Workshop to gain hands-on experience and prepare you for a role as a Selenium professional. Our Selenium Project will help you bridge t..
H2K Infosys is an IT Training provider in USA offering Selenium Training online. Enroll today in our instructor-led live training and learn the basic and advanced concepts of Selenium from our expert..
H2K Infosys is the leading provider of Quality Assurance Training based in USA. We provide training for beginners and advanced level students. Our extensive 100+ hours of training on IT basics, STLC,..